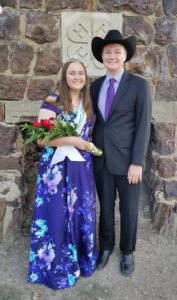 Paul Persigehl and Adelaide Easter were crowned king and queen of the Tri-Rivers Fair during festivities Wednesday evening in the Tony’s Pizza Events Center’s Heritage Hall. Fair activities continue through Sunday in Kenwood Park. Following are scheduled activities for the rest of the week. Exhibits are scheduled to be open from 8 a.m.-9 p.m. in the 4-H Building; from 9 a.m.-9 p.m. Open Class Exhibit, Kenwood Hall; and 2-9 p.m., Commercial Exhibits in the Tony’s Pizza Event Center. Additionally, a silent auction to benefit 4-H scholarships will be open from 1-9 p.m. in Kenwood Hall. 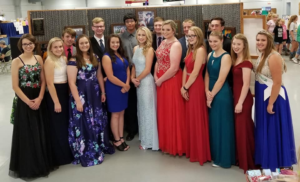 The carnival is scheduled to open at 6 p.m.
Exhibits are scheduled to be open from 8 a.m.-9 p.m. in the 4-H Building; from 9 a.m.-9 p.m. Open Class Exhibit, Kenwood Hall; and 2-9 p.m., Commercial Exhibits in the Tony’s Pizza Event Center. Additionally, a silent auction to benefit 4-H scholarships will be open from 9 a.m.-9 p.m. in Kenwood Hall. Exhibits are scheduled to be open from 9 a.m.-8:30 p.m. in the 4-H Building; from 9 a.m.-8:30 p.m. Open Class Exhibit, Kenwood Hall (9:00-10:00 pm exhibits released); and 10 a.m.-8 p.m., Commercial Exhibits in the Tony’s Pizza Event Center.